Please click on the Youtube link in the banner at the top of this page to view a brief introduction of the Maitri Space Awareness program. Open to everyone this contemplative retreat of Mindfulness and Loving-Kindness meditations explores five different psychological styles to awaken your underlying energy of wisdom. 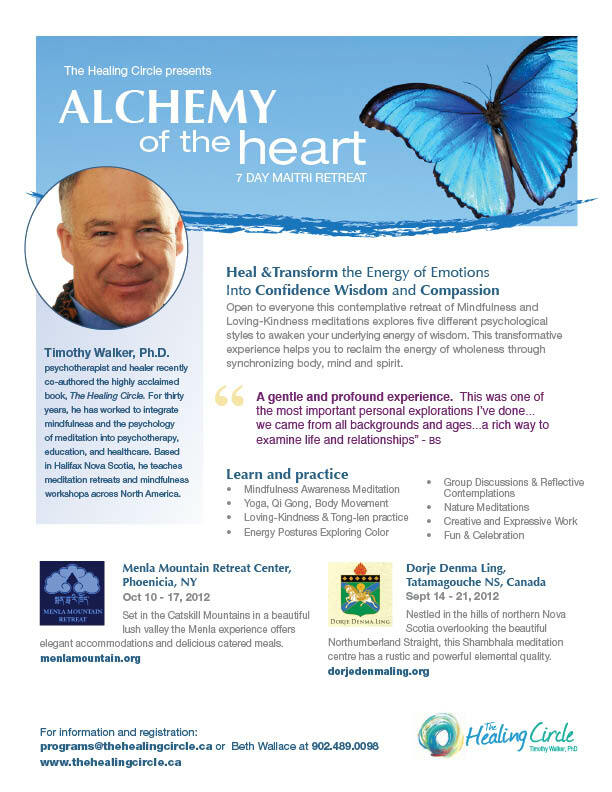 This transformative experience helps you to reclaim the energy of wholeness through synchronizing body, mind and spirit. For further information, to receive a complete information package or to register, kindly call: 1.902.489.0098 or click the ‘register’ button at the bottom of this page to be connected via email. For pricing, reservations and other registration details for the Dorje Denma Ling retreat, please contact them directly at: 1.902.657.9085 or refer to their website for online registration.